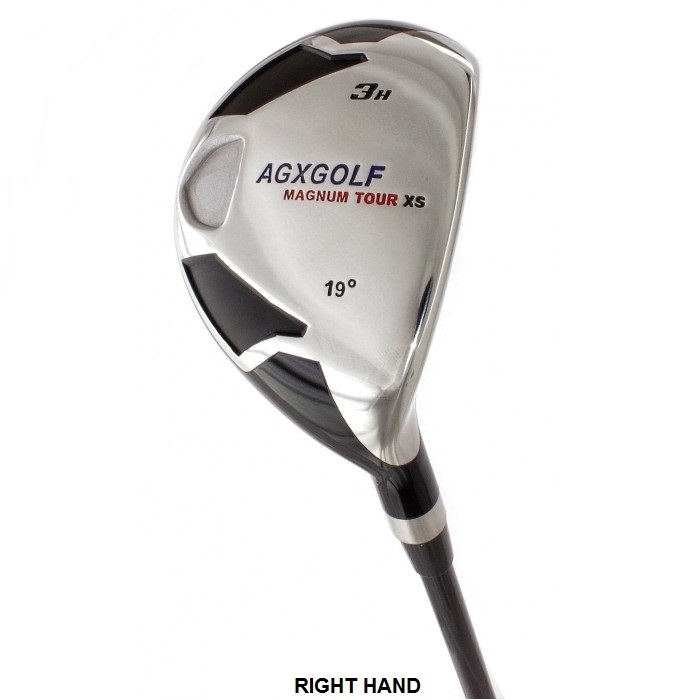 AGXGOLF XS SERIES #3 HYBRID IRON IN LADY'S LEFT HAND AND RIGHT HAND. LADY FLEX SHAFT!! Yes, these clubs are BRAND NEW! BUILT IN THE USA.!!! The Manufacturer's Suggested Retail Price for this HYBRID IRON is $79.95. Your price is MUCH BETTER!! 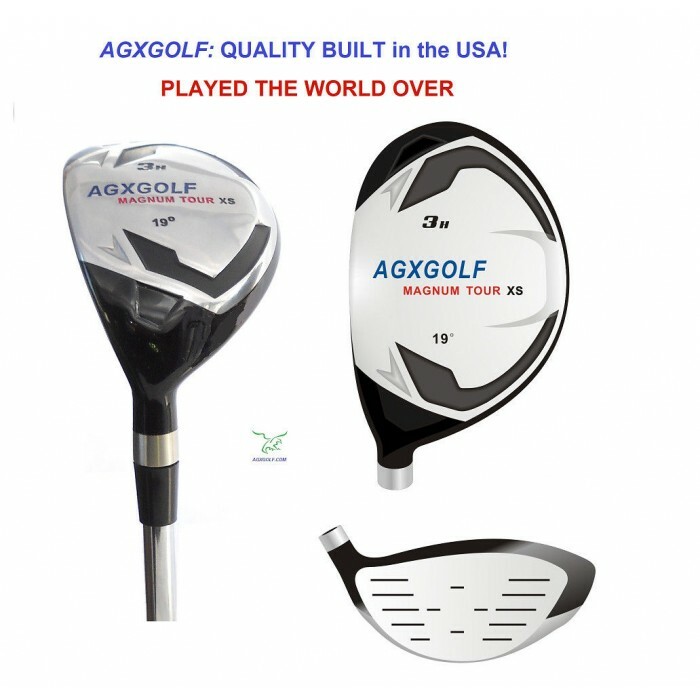 This HYBRID IRON from AGXGOLF is the LATEST IN TECHNOLOGY!! 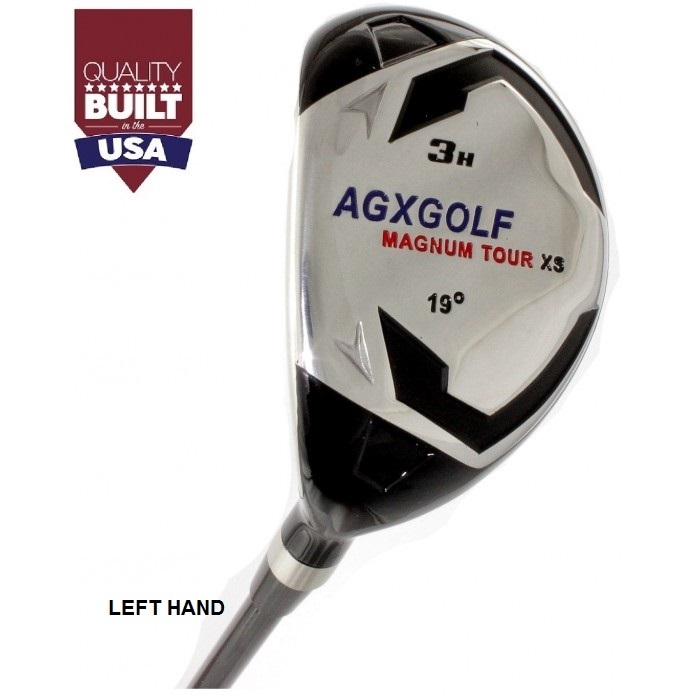 The masterfully crafted XS HYBRID IRON -combines the POWER of a Wood with the ACCURACY of an Iron to provide more "hit" with less effort!! These VERSATILE CLUBS can be used of the TEE, down the FAIRWAY or in the ROUGH! A very FORGIVING and STROKE SAVING design. Many golfers are replacing their old long irons and fairway woods with these Hybrids. Why not you!?! EXPERTLY CRAFTED for a GREAT FEEL and the DURABILITY to last a lifetime!! This HYBRID is built in our Highland, Michigan U.S.A. facility. We hope you enjoy playing these fine clubs as much as we enjoyed crafting them!! So if you are looking for Pro-Line quality, HYBRID Iron-Woods, but not an OVER-SIZED price tag, then we think you will be very happy with these clubs!! AMERICAN GOLF EXCHANGE is headquartered in Highland Michigan! We know you will enjoy playing these fine golf clubs as much as we enjoy crafting them! We GUARANTEE that you will be SATISFIED! !